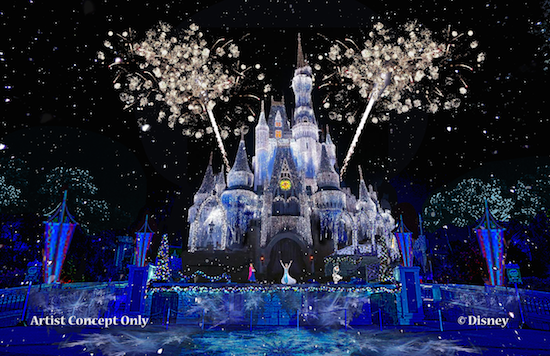 Walt Disney World has announced more experiences are coming based on the hit film “Frozen”, including a new attraction and updated holiday show. Over at Epcot, a new “Frozen” attraction will be added to the Norway Pavilion, replacing Maelstrom. The ride will take guests on a journey to Arendelle, immersing them in their favorite moments and songs from the film. In addition, a new meet and greet location for Anna & Elsa will open in Norway. No time frame has been given as to when Maelstrom will close to make way for this new ride, but guests currently cannot book a FastPass+ for the ride past Oct. 5. UPDATE (9/13/14): Disney has confirmed the final day of operation for Maelstrom will be Oct. 5, 2014. The new Frozen attraction is scheduled to open in early 2016. 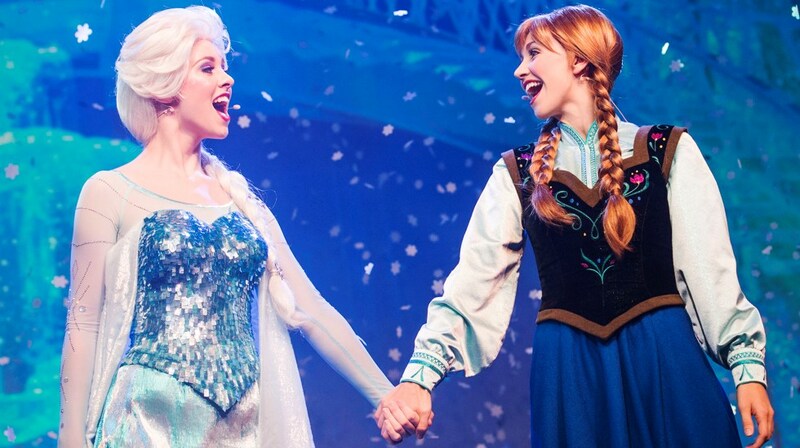 At Magic Kingdom, the ‘Frozen’ characters will have a bigger presence in the park for the upcoming holiday season. The annual ice castle lighting show at Cinderella Castle will be updated with Queen Elsa using her powers to transform the castle into an ice palace instead of the Fairy Godmother. Mickey’s Once Upon a Christmastime Parade will also feature Anna, Elsa, Kristoff and Olaf for the first time. The Frozen Summer Fun event at Disney’s Hollywood Studios has been a hit with guests, even being extended through the end of September. Now, some elements of the event are getting extended through the holiday season, including “For the First Time in Forever: A Frozen Sing-Along Celebration” and Wandering Oaken’s Frozen Funland, which will move to a location closer to the show and feature a larger play area with real snow. 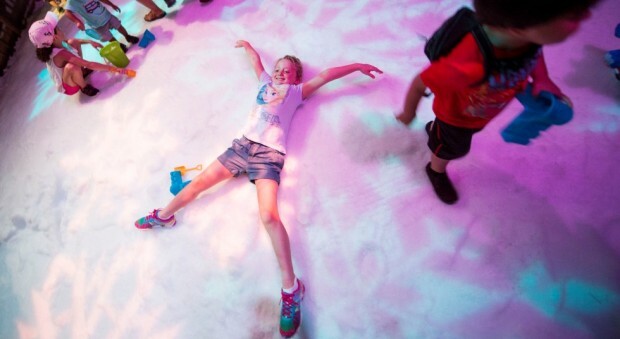 UPDATE (9/13/14): The ice skating will end on Sept. 28 when Frozen Summer Fun ends. It will not be a part of the new Frozen Funland. Check out our Frozen videos in our Frozen Video Playlist Here. They need to leave the countries alone. I love Frozen, don’t get me wrong, but the Countries should have their own attractions. They have three other parks to put a Frozen ride in. Replace “Little Mermaid” at the Studios. They’re only going to do it on the cheap anyway, using the existing ride and painting everything with fluorescent paint. When they get rid of a ride or change it, like Imagination or living seas, they cheapen it. It’s never better than what was there previously. I wish they had kept Epcot alone. Sigh. This is all a moot point now anyway but I’m curious…who is “we” and what relation do you have with Disney? This upsets me. Not because I am obsessed with Malestrom (although I do it every time I go), but because Arendelle doesn’t exist. I feel that World Showcase should be left to places that actually exist. I love World Showcase because I can learn about new places and try foods from different cultures and experience attractions that revolves around the culture of real places. World Showcase is my “education on vacation” as I like to call it. Frozen going anywhere else would not bother me at all. I just feel that it should be in Fantasyland and NOT World Showcase. The Maelstrom ride is my FAVORITE in Epcot! I go on it every time I visit. I should have recorded it the last time I was there! It was educational. Where is the Education in a “Frozen” ride? Keep Frozen in Fantasy Land and keep Epcot fun and educational. I love it there. Grrrrrrrrrrr!!! I remember things about the countries that I learned in Epcot because it was fun and it was almost like really traveling the world. I want my children to have this experience. They get enough fantasy from the movies they watch and they will surely get their fill in Fantasy Land. Leave Epcot alone, please, please, please. Arendelle is not a real place. It is not educational about the real country of Norway. My children don’t have to “learn” about it because it is fake. This is breaking my heart. The world showcases should not be based on “fantasy”, they are there for educational purposes. Frozen is not real. The loss of Maelstrom is very sad, it was a great ride for the entire family not just kids. If they wanted Frozen to be in Epcot they could have put it on the other side and replaced the old failing and outdated “Imagination” ride. Disney you messed up on this one! Norway will be there forever, but, Frozen will soon be replaced by another Disney movie and no one will remember it. I hope you read this Disney and change your plans. Wake up Disney and replace Ellen with Frozen. Most of these complaints will go away. Problem solved. Do destroy Maelstrom! !!!! Sorry! Do not destroy Maelstrom. Does anyone know when Frozen Funland will be operating at its new location? This article says the ice-skating ends on Sept 28. So will the snow-play part be staying open there on it’s own? Or will it move that day to the new location? Or will there be a period where it’s closed down? I really hope not as my 7 year-old daughter is looking forward to playing in the snow. It starts tomorrow, Sept. 29, 2014.